Home | Vitamins | Minerals | Iron | Easy Iron - Iron Glycinate 28 mg.
Promote red blood cell production with Easy Iron (formerly Gentle Iron). ** Iron is a necessary component of hemoglobin, the oxygen carrier in the blood. It is also important for energy utilization. ** This iron glycinate mineral supplement is designed to be gentle on your stomach while delivering 28mg of iron to your body in rapid-release capsules. Other Ingredients: Vegetable Cellulose, Gelatin, Croscarmellose sodium. Contains <2% of: Magnesium Stearate and Silicon dioxide. Warning: If you are pregnant, nursing, taking any medications or have any medical condition, consult your doctor before use. Discontinue use and consult your doctor if any adverse reactions occur. Store at room temperature. Do not use if seal under cap is broken or missing. Accidental overdose of ironcontaining products is a leading cause of fatal poisoning in children under six. KEEP THIS PRODUCT OUT OF REACH OF CHILDREN. In case of accidental overdose, call a doctor or Poison Control Center immediately. Gentle Iron - Iron Glycinate 28 mg. is rated 4.8 out of 5 by 13. Rated 4 out of 5 by Anonymous from Excellent product Positive results shown with last visit to physician. Product is doing what is expected. Rated 5 out of 5 by Bunny3217 from Best on the market I go out of my way to go to Vitamin World, the only place you can find cheated iron that already contains vitamin C which is needed for absorption. Also has B12 included. The perfect iron! Rated 5 out of 5 by doxiemom from excellent product I tend to have iron poor blood, so I take an iron supplement when I feel down. I chose this product based on gentle iron. So far, it hasn't caused me any digestion problems. I feel more energized after taking this product for 2 weeks. If you feel you need an iron supplement I would recommend giving this one a try. 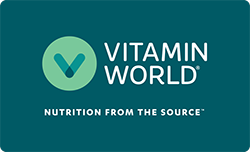 Vitamin World gives multiple choices for all supplements which is nice. Rated 5 out of 5 by Mhew from My best Iron supplement I have been taken Iron supplements over 10 years from many brands. This one is the best for me! !